Know Your Tread: The tread pattern and sidewall tell you a lot about the service type of the vehicle that the tires are intended for. The grittier the pattern and stronger the grip, the tougher the terrain that can be handled. If you put a lot of wear on your wheels, it’s smart to look for a pattern that’s deeper set with all-terrain capabilities. Do Your Research: You want to buy a set of tires that will last for years. 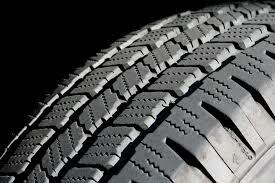 So, research tire brands that work best for your vehicle and driving needs. If you know your SUV will be ripping through the off-road, explore brands that have a reputation for providing excellent handling. Shop For Specials: Clearly, tire specials and package deals can help you save lots of money on your tire purchase. But specials also offer you a chance to buy big name brands at budget prices. Wheel and tire packages are also a good option for saving some cash. When you go into a tire shopping experience prepared, you’ll make intelligent tire choices and prevent wasting money on the wrong kind of wheels.